A chronicle of the rise, fall, and legacy of N.W.A, one of America’s most revered and iconic enduring music groups, who put their stamp on pop culture, black culture, and who changed hip-hop music forever. Kennedy is a deft storyteller, ducking and diving through the origin stories of Dr. Dre, Ice Cube and their early meetings with label co-founder Jerry Heller ... Kennedy writes of N.W.A’s preeminence as if still in awe of its reach even today. Dre’s evolution from the 'dancey techno' of the Wreckin’ Cru to the soul-inflected funk samples he’d base a billion-dollar business upon is told with a genuine excitement. There are no shortage of moments when Kennedy breaks down Dre's infamous samples of James Brown or Parliament. 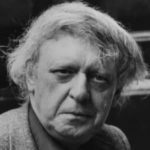 Even more, he contextualizes the N.W.A's popularity within the racist history of popular music mediums like MTV that were hesitant to give black people any airtime ... With a heady combination of interview and fine-toothed combing through available research, Kennedy pieces together N.W.A’s downfall with an informed precision. With the staccato, sure-fire delivery of a rap artist, Kennedy chronicles the early lives of each of N.W.A’s members—Eazy-E, who died of complications of AIDS in 1995, Dr. Dre, Ice Cube, MC Ren and DJ Yella—and how they came together to form N.W.A ... Kennedy’s compulsively readable book shines a glowing light on a brilliant group once accused of destroying America’s moral fabric but now occupies a spot in the Rock and Roll Hall of Fame for their astonishing contributions to music. Getting the band together is usually the fun part of the story, and Parental Discretion is no exception. By the time Dre, Eazy-E, Ice Cube, MC Ren, and DJ Yella have gone their separate ways, the plot has devolved into standard pop tragedy ... Kennedy leans on interviews with Ice Cube and the D.O.C., but Eazy is the most colorful character. 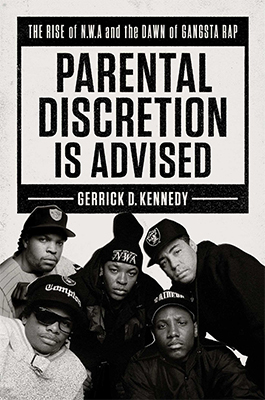 What did you think of Parental Discretion Is Advised: The Rise of N.W.A and the Dawn of Gangsta Rap?